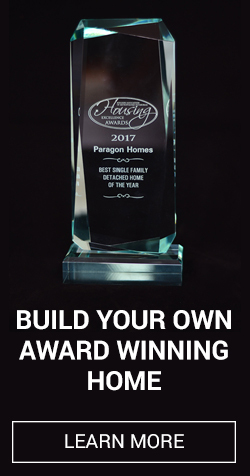 There is no better time to start planning your new home construction project. Whether you need more space for your family, custom features so family members can age in place, or want to put down roots in a new neighborhood, you can get things underway now and move into a house designed just how you want it by summer. First, consider where you want to live. If you have children or are planning a family, area schools will factor into your decision, as well as distance from work, relatives and shopping and other amenities. You should also visit available lots and new home neighborhoods to get a feel for the amount of land and privacy you would have living there. Once you settle on a location, start researching builders and your financing options. If you want to start talking to prospective builders first, some companies work with preferred lenders who can walk you through the process and explain what kind of loans are available. Even before you have settled on a builder, you can start collecting photos and information of the unique home features that interest you, as well as architectural drawings or floor plans. If you aren’t sure where to look for floor plans, you builder should be able to provide you with plans they have used in existing homes as well as other design sources. After the design process is underway, a true custom home building experience means that you will be able to make changes to your floor plan and select the exact materials you want. Don’t just dream about your dream home. Make a plan to build it.